Private Internet Access Review - Bypass Censorship and Browse Web Safely? 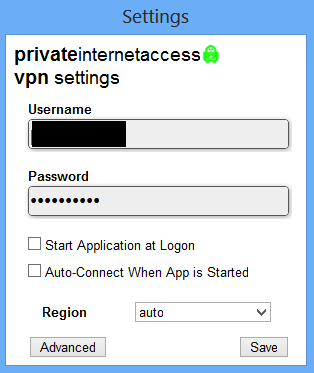 Private Internet Access Review – Bypass Censorship and Browse Web Safely? You may have heard about the recent 6-strike copyright program that punishes serial copyright infringers in the United States. Internet service providers (ISPs) will monitor your traffic for any illegal sharing on peer-to-peer networks like BitTorrent. Obviously, the action is intended to protect content creators, however, there are still a lot of legitimate BitTorrent users and they should take precautions as well. We also don’t feel comfortable to know that all online activities are being monitored by ISPs. Therefore, not only BitTorrent users but also normal Internet users are seeking a way to hide their identities and IP addresses from prying eyes. We absolutely don’t want to get punished by throttling Internet speed or further troubles, so using a VPN service is the most effective and affordable way to protect yourself. Picking a suitable VPN service is not an easy task as we have to consider their features, prices, server locations, performance and most importantly, how it takes privacy seriously. There are some free services like HideMyAss or Hotspot Shield but you shouldn’t rely on them because they will keep log of all your activities and the information could be offered to another party anytime. I’ve done some researches and Private Internet Access is my choice. I’ve been using the service in 3 months and everything is so satisfying, that’s the reason why I want to recommend to you the service. 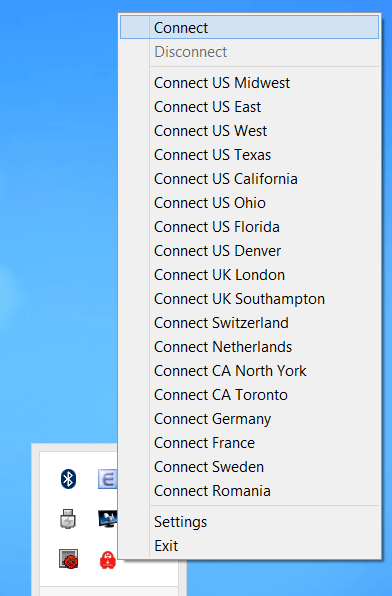 Now, let’s check out what Private Internet Access is offering. This is the first thing we should consider in a VPN service, how it will protect your privacy and defend yourself from data monitoring. Private Internet Access do not keep any log of our traffic, they also implement the strongest levels of anonymity by using shared IP addresses instead of dynamic or static IPs. So, even you download illegal BitTorrent files and your information is offered to third parties due to court order, they still can’t match a user to an external IP. The service is also offering high grade 128-bit encryption based on MICROSOFT MS-CHAP V2, industry leading encryption based on OpenVPN, IPSEC and L2TP to keep our data completely safe. Moreover, the service is integrated with advanced firewall to block unwanted connections to your computer or smartphone. By using Private Internet Access, you are guaranteed to be safe and secure even on dangerous networks like public Wifi hotspots. 2. Login to start the service. 3. Click Connect to start surfing online safely. The VPN service provides unrestricted access to the whole Internet as it has gigabit gateways worldwide. It has more than 193 servers spread across United States, UK, Canada, France, Germany, Netherlands, Switzerland, Sweden, and Romania. That means you still can watch Hulu or Netflix when you are away from the U.S. or access to Facebook and Google when you are in China. The price of the service is $6.95 per month if you pay monthly or $39.95 per year if you pay for the whole year. I chose the package because it is cheaper and the service is reliable enough to use in long time. Overall, it costs me just over $3 per month, too cheap for our privacy. Check out Private Internet Access here.